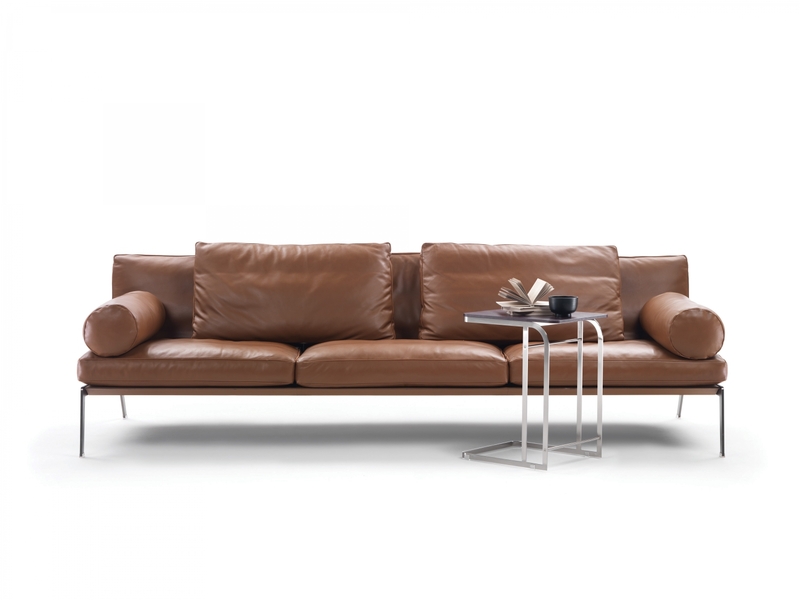 Aesthetic elegance is what sets the Happy sofa apart. 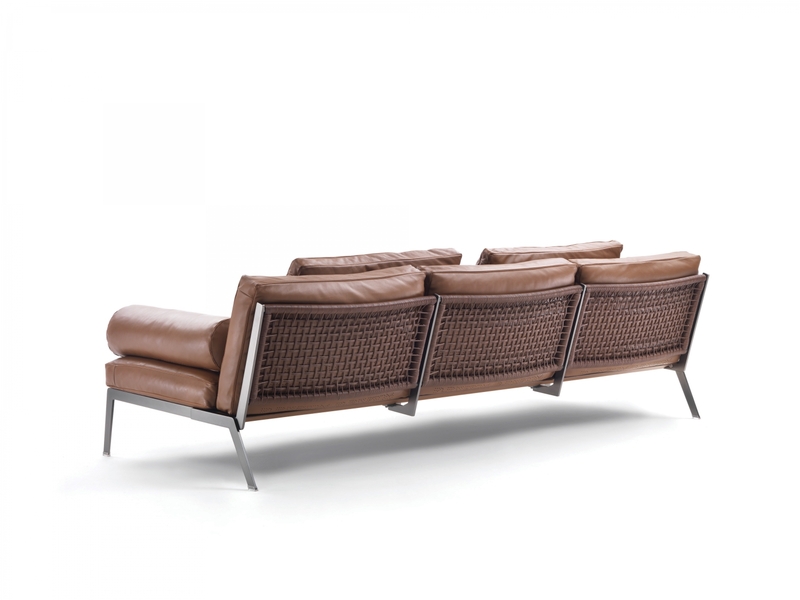 Its unique seat back is made up of a metal frame embellished with a sophisticated and entirely hand-woven open weave design made with cowhide cord. The soft, goose-down-filled seat and seat back cushions offer visual contrast to the austere yet elegant metal structure. The couture tailoring of the upholstery is accented by grosgrain piping that can be tone-on-tone or in a contrasting color. 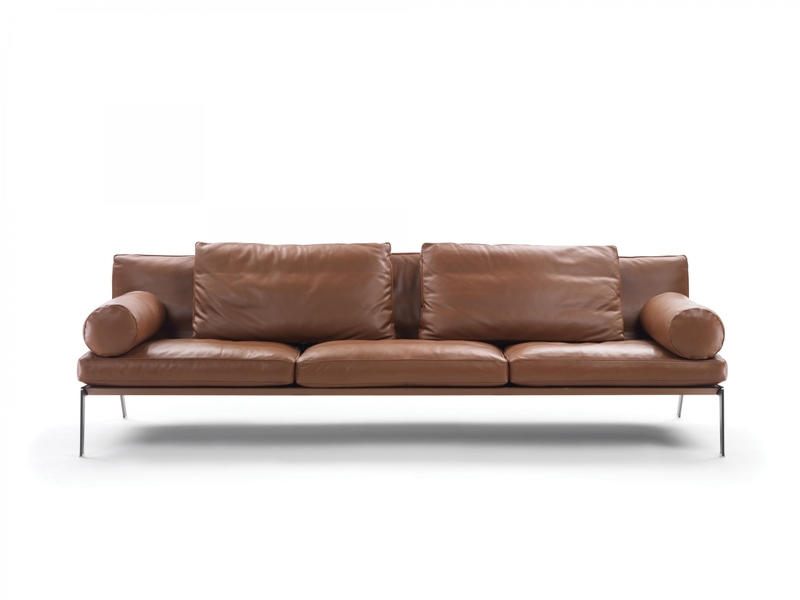 The Happy sofa comes in two widths – 162 and 242 cm – and has no armrests. It is possible to add a bolster with a metal insert that can be placed as an armrest for convenient support.